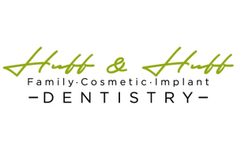 The foundation of the dentist/patient relationship is general dentistry. Visiting your dentist, usually twice a year, lets us help you keep your mouth healthy by catching any developing issues before they have a chance to become big problems. Regular check-ins also help us stay current with your needs and make sure that your long term treatment goals–cosmetic and functional–are being met. Good oral hygiene is the starting point for good oral health. You probably already know the basics of oral hygiene. Brush your teeth at least twice a day or after every meal; most people should use a soft toothbrush, but please feel free to ask for advice on selecting the correct toothbrush at your next visit if you have any questions. Floss your teeth daily for optimal health. It’s almost a cliche that people do not floss, but flossing removes unhealthy bacteria much more efficiently than brushing alone. And, regular flossers generally have more pleasant tooth cleanings because they’ve been able to remove more plaque causing debris. If you have any questions about rinses or additional dental care products that may or may not be helpful to your daily care routine, please bring them up at your next checkup. We’re here to help you! Cavities happen, sometimes even to the most careful brushers. Still, a cavity should be no cause for alarm. 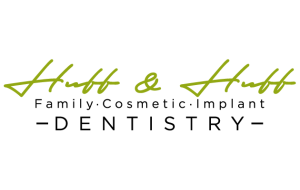 We are happy to offer tooth-colored fillings at our office. These strong resins are able to fill the cavity while preserving the beauty of your teeth. If the cavity was leaving a brown spot, they may even improve the beauty of your teeth. Long past are the days when a cavity meant filling your teeth with toxic mercury amalgam. Our tooth-colored fillings are safe and attractive. Cancer of the mouth and throat can be devastating if not caught early. Our office does an oral cancer screening at each regular checkup to try to catch cancers early, when there is the best chance for successful treatment. Some risk factors for oral cancer include tobacco and alcohol use, prolonged sun exposure, HPV infection, age, fair skin, and poor oral hygiene. Oral cancer is unfortunately on the rise in the United States, and is one of the most deadly forms of cancer because it is typically not detected until late-stage. By seeing your Edmonds dentist regularly, you can have peace of mind knowing we will catch any abnormalities before they progress. Grinding your teeth at night. Playing contact sports. What do these behaviors have in common? They are both are risky for your teeth, and they both have risks that can be mitigated by the regular use of a mouthguard. While it is sometimes possible to buy a mouthguard at the local sporting goods store or off the internet, our office can fit you with a mouthguard that actually, well, fits. A quality custom dental mouthguard is more comfortable for long-term wear and is less likely to cause a jaw misalignment. As we know from experience, a product we never use provides us no benefits. So, invest in a comfortable, well-fitted mouthguard and preserve your tooth health for the long term. Are you wondering how extractions could be a preventive method? The truth is, we only recommend and perform them when we think it’s the best call for your oral health. In rare cases we recommend them before orthodontic treatment, but they tend to be a way to save your smile after it’s suffered excessive decay, cracks, breakage, or severe infection. Our office will extract wisdom teeth in the case of an emergency, but we generally refer wisdom teeth extractions to a trusted specialist. Whatever the case, you can count on us to make the process as comfortable as possible if it’s necessary for you.